Google designed Android as an open source operating system, free for everyone. Anyone on earth (with a Google Dev account) can download Android and install it on a phone. Dozens of phone makers have taken Google up on that offer, and more than 70 percent of all smartphones run Android, but you wouldn’t know it by looking at them. When you’re buying a Samsung Galaxy, an HTC One, an LG Optimus, a Motorola Razr, or any other Android phone, you’re not really getting the real experience – the Google experience. Samsung and other manufacturers give Android plastic surgery. They reshape it and make it look totally different, so that it matches their advertising goals. But you can fix this. Google has made several Nexus phones that are pure Android, and starting now, and provided you’re in the U.S. you can head straight to Google Play and buy a Google Edition Samsung Galaxy S4 for $650, or a Google Edition HTC One for $600. But if you’ve already bought a Galaxy S4 or HTC One, there is still a way to get stock Android on it. We’re going to teach you how to free your phone and run Android how it was always intended. This process will wipe the software on your handset and, instead of Android with Samsung’s TouchWiz or HTC’s Sense user interface on top, you’ll get stock Android with Google apps, just like the Google Edition phones. This means some apps and features will be missing, but it also means no carrier or manufacturer bloatware. There is some risk involved, specifically an outside chance you’ll brick your phone, so make sure that you follow the instructions to the letter. In order to get stock Android onto your smartphone you’ll need to find the right ROM for your device and then flash it. Before that you’re going to need to root your device and choose a custom recovery. Our how to root Android article will point you in the right direction to get started. Remember: make a backup of important files before you begin. 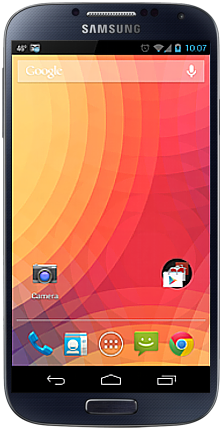 You need a GSM version of the HTC One that is rooted and has a custom recovery (CWR or TWRP) installed before you start. 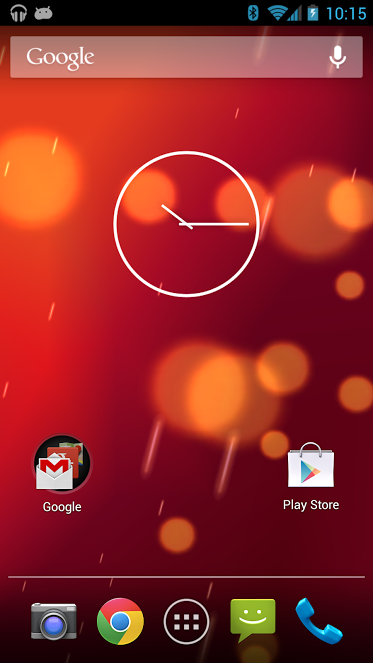 You’ll find the ROM for Android 4.2.2 with Google apps in this thread at XDA Developers. We’ll assume you’re using ClockWorkMod Recovery. Here are the next steps. Download the ROM to your HTC One and save it on your SD card. Press and hold the Volume Down and Power buttons and use Volume Down to navigate to Recovery, and then hit the Power button to select. Your phone will reboot in recovery mode. Choose wipe data/factory reset and then choose Yes – delete all user data then hit wipe cache partition and choose Yes – wipe cache and then tap Advanced and hit wipe dalvik cache and tap Yes – wipe dalvik cache. Go back and hit install zip from sdcard and then install zip from sdcard and navigate to wherever you saved the ROM, select it and hit Yes. It might take a while to install. Once it is done you want to reboot the phone and you should see a new Google logo during boot up which indicates that the install was successful and your HTC One is now a Google Edition device. If you encounter any problems, refer to the thread on XDA Developers where you’ll also find a video of the process, a FAQ, and a lot of discussion. The process for the Galaxy S4 is basically the same, but you’ll need a different ROM. 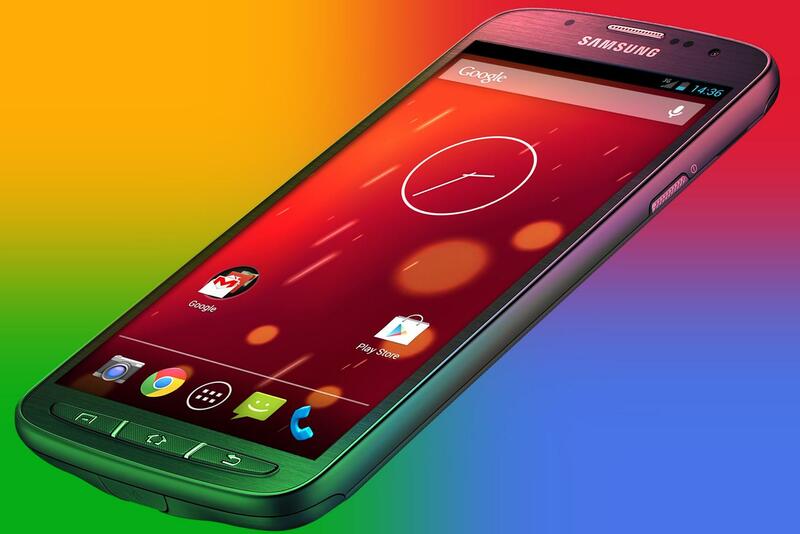 There are actually a few different stock Android 4.2.2 ROMs available for the S4 and there’s a leaked Android 4.3 ROM. You can find both in this thread at XDA Developers. Bear in mind there have been some problems reported with the 4.3 version and it hasn’t been rooted yet, so you won’t be able to root after you flash that ROM. It’s probably best to go for the 4.2.2 ROM right now. Once again, if you encounter any issues, your best bet is to post in the XDA Developers forum thread where you got the ROM. Good luck! Let us know if you’ve tried it and whether you prefer the Google Edition to the original.